Warwick's career started in 1981 when he was cast as Wicket in the new Star Wars film "Return of the Jedi." In 1985, Warwick appeared alongside David Bowie in the fantasy film, "Labyrinth." 1987 brought Warwick and Val Kilmer together in a film called "Willow" The film was privilege to a Royal premiere in the presence of The Prince and Princess of Wales. The 1993 Warwick stared in the film Leprechaun, which has achieved cult status with movie fans in America, which prompted no less than 4 sequels to be made. 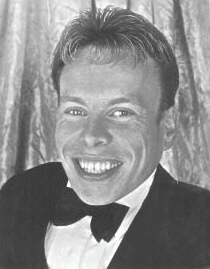 In 1995, Warwick appeared as Grildrig in Gulliver’s Travels. The series set new American television audience records by attracting a staggering 56 million viewers. In 1997 "The Phantom Menace". Warwick played 3 roles in the film, with character names Wald and Weazel. He was also honoured to play the famous Jedi Master, Yoda for scenes where the character was required to walk. Later in 1997, A Very Unlucky Leprechaun. Not another horror movie,but this time the Leprechaun, known as Lucky, was friendly, if a little eccentric. The success of this children’s film meant a sequel, The White Pony was made the following year. Most recently, Warwick can be seen in Harry Potter in which he plays Professor Flitwick and the Goblin Bank Teller.